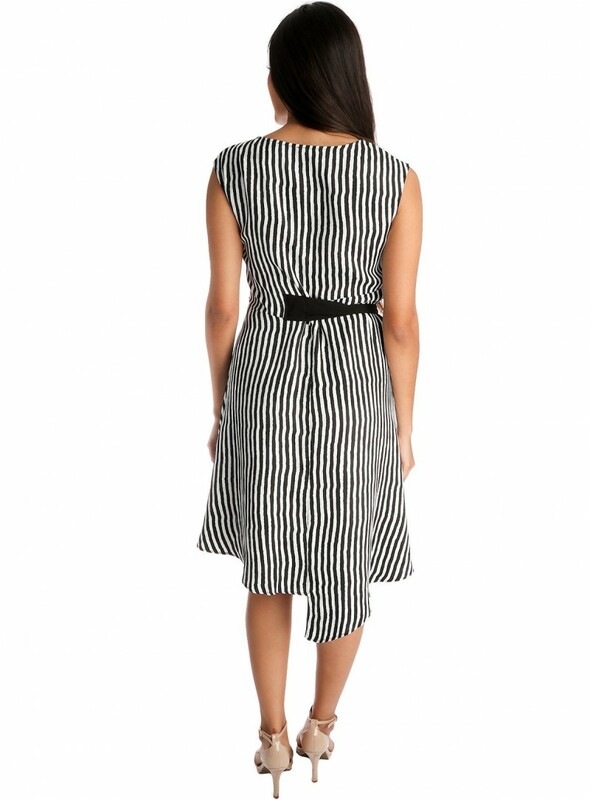 Composition:12%Nylon, 43%rayon, 39%polyester; auxiliary: 16.1%Tencel, 38.9%Nylon, 45%viscose; Lining: 100%rayon. Model: Height: 5′8" (174cm) inches, Breast 32 inches, Waist: 25.5 inches, Hips 35 inches. She wears size: M.
Composition: 90% RAYON, 9% NYLON, 1% SPANDEX Wash: Dry clean only Imported Model: Height: 5′8" (174cm) inches, Breast 32 inches, Waist: 25.5 inches, Hips 35 inches. She wears a size S.
Composition: 90% RAYON 9%NYLON 1% SPANDEX Wash: DRY CLEAN ONLY Model: Height: 5′5" (162.5 cm), Breast 34.5 inches, Waist: 26.8 inches, Hips 38. 8inches. She wears a size S.